Some consider this a formal affair. 2014 Dirty Dozen. Just a quick reminder that the annual Dirty Dozen bike race is Saturday, November 28, 2015. 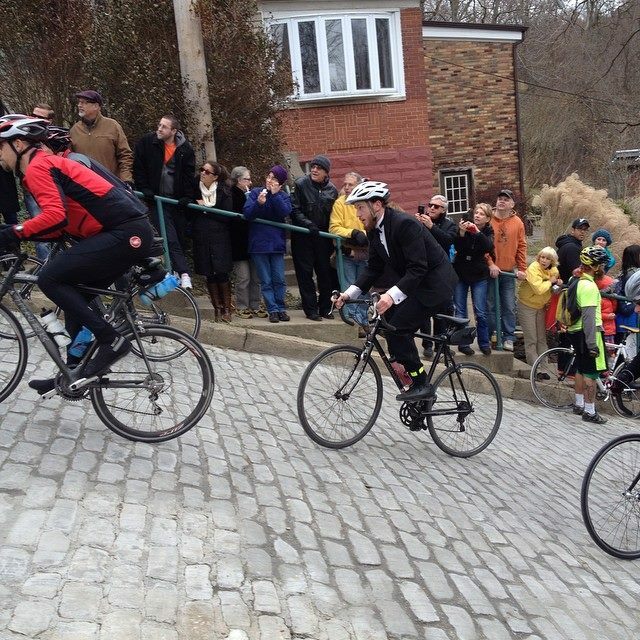 Cyclists pedal around the city and tackle 13 of the steepest hills. It is an exciting race to watch. If you go, please be very careful and stay out of the way of cyclists and support vehicles. It is best to go to a hill way ahead of the pack, park out of the way and wait. I wouldn’t plan on trying to drive to all of the hills. Pick one to start and then skip the next few and head to another hill. « Startup Weekend Pittsburgh is back Nov. 20-22– get 20% off tickets!